I hope you all have had a lovely Christmas! I have really enjoyed the past week and I'm really getting into my daughter being home for Christmas break - but it seems that bedtimes are creeping later and the girls are sleeping in - so I guess over the next few days we'll have to adjust that! 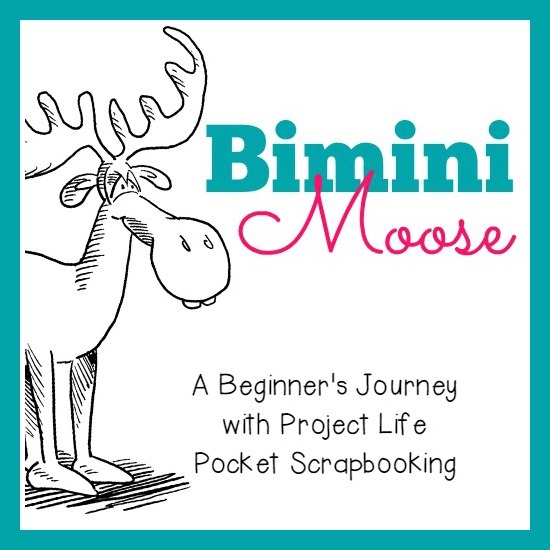 Have you been keeping up with all the amazing pocket page projects Janis from Bimini Moose has been sharing?! She's been working on her 2014 year in review layouts and they are so inspiring!! I've been having so much fun playing around with the Project Life App on my iPad! I thought I'd share a few layouts I've created over the past few days featuring some holiday moments. I'm going to try printing these out & I'll let you know how that turns out! I think I'll use an 8x8 format and put them in an album. I'm still trying to work out how I will structure my 2015 paper Project Life album, but like anything else, I guess it will be a work in progress and I'll just dive in! Hope everyone has a happy and safe New Years! 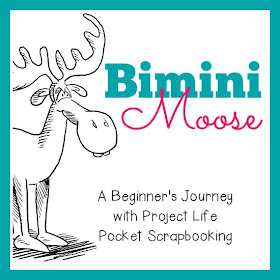 Be sure to check back as I will be posting more pocket page scrapbook pages and next week we will be posting our first ever Bimini Moose Pocket Page Challenge!! My daughter (who just turned 3 yesterday!) and a little friend of hers both have December birthdays. I wanted to make a sweet card for her friend, who is a total 'girly-girl', so I pulled out the Tinkerbell rub-ons and pink paper! 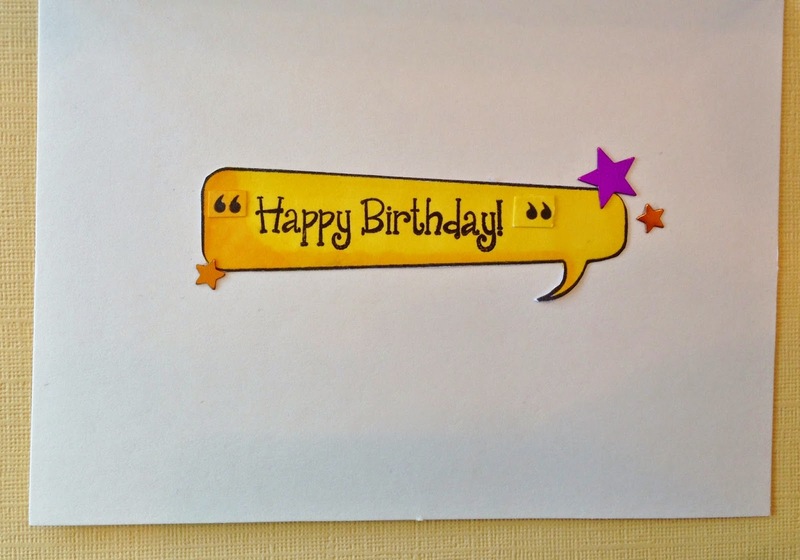 The papers are from 6x6 paper pads in my stash and the birthday stamp is from Wish Big by Pretty Cute Stamps. I used some Spellbinders Nestabilities to layer two different shades of pink die cuts, adding Tink on top. I used the very smallest of the die cuts to cut two tiny 'tags' that I added to the bottom left with two flower rub-ons and some twine. She was very happy when she opened her card! 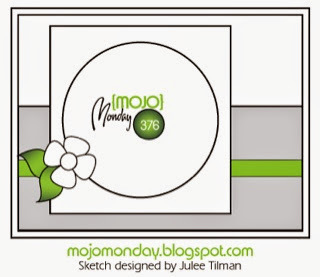 I used the sketch over at Mojo Monday! I hope you are all having a lovely weekend - enjoy the upcoming week!! Thanks so much for joining me today! If you are a Pocket Scrapbooker, are interested in Pocket Scrapbooking, or just want to see some gorgeous eye candy - you are definitely going to want to check out this exciting news!! I am joining Janis Lewis (from Pause, Dream, Enjoy!) at Bimini Moose (awesome name, hey!) on her Pocket Scrapbook Design Team! She will be posting challenges on her blog once a month. We are all super excited and hope that with the new year right around the corner, this will be the boost you need to start or stay caught up in 2015 with your pocket scrapbooking! We'd love it if you would also share the link with your friends and encourage them to come play with us! We enjoy seeing all the different styles and techniques. Always inspirational and always something new to learn. Janis has signed up for the Studio Calico Project Life monthly kit! This is what she has to say about it- "Everything I researched about it online told me that people love it, the quality is superb, and everyone seemed to think they got so much "stuff" each month! If you'd like to check it out, please use this link. If you decide to subscribe and you use this link - we will both get 500 points! That's $5 to spend in their store! Once you sign up, you'll get your own referral link that you can share with your friends. Share the love, right?" Thanks for stopping by today. I am so excited to finally focus on some more scrapbooking, and using the pocket pages are going to simplify my process and help me get those pictures into a book for my little ones to look at! I'll be back really soon to share some pocket scrapbook fun with you all! 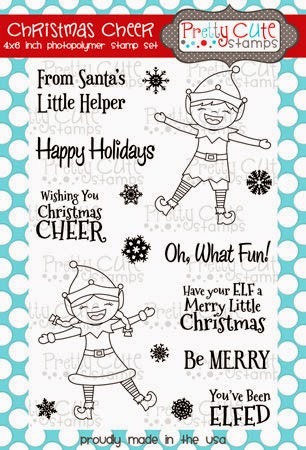 Pretty Cute Stamps December 2014 Release Blog Hop!! Thanks so much for joining us for the December 2014 Release Blog Hop, where we are all sharing projects featuring the new stamps this month that are now available in the Pretty Cute Stamps Store. If you came from Janna's blog, you are in the right place. If you just stumbled across this post and would like to start from the beginning, please visit the Pretty Cute Stamps Blog. 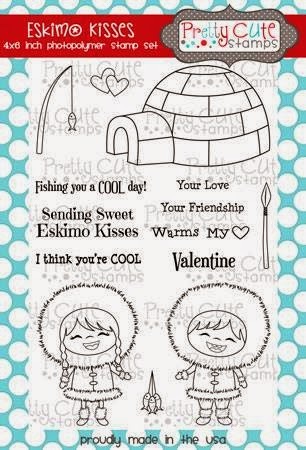 For my project for the hop, I've used the new, super adorable Eskimo Kisses stamp set. For my card I've made a sweet winter/valentine/love card. I've used a collection of papers from my stash and used Prismacolor Markers (alcohol based) to colour in the images. These two little cuties look soooo happy! And, of course I love all the extra props and sentiments :) So many possibilities! I used a clear Wink Of Stella pen to paint in the fluffy details - I just love the shimmer it gives! I added some twine and Glossy Accents to create shine on my stamped hearts. 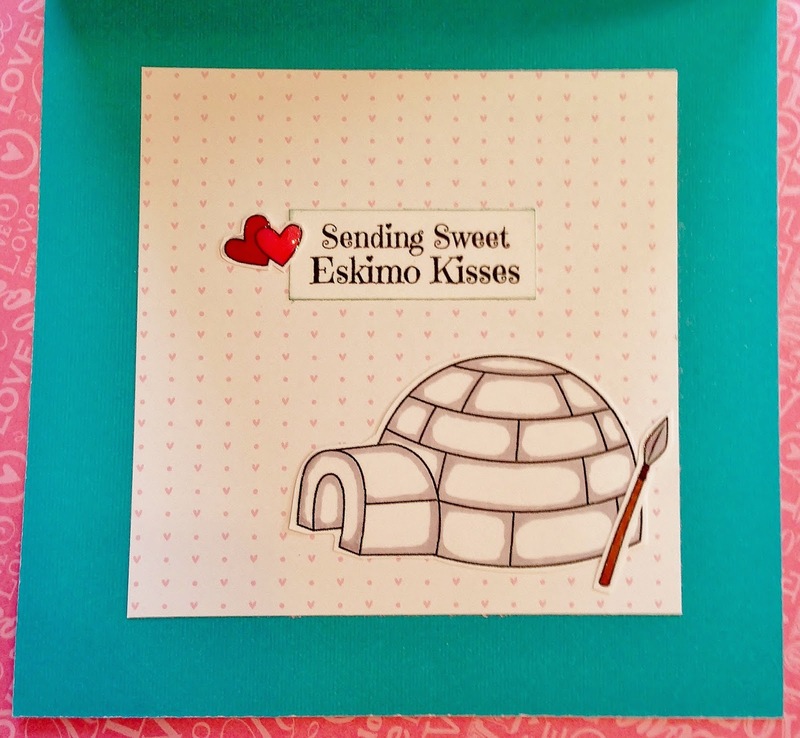 Inside, I added the igloo and my favourite sentiment! I had to share one more quick thing I made with these stamps! My daughter, who is in Grade 2, is crazy about lunchbox notes. It's a surprise when she opens her lunch each day to see what I have put in there. I think her friends look forward to seeing it as much as she does! So, of course I had to use this set to whip up a few quick notes. A random winner will be chosen on Friday, December 19, 2014. 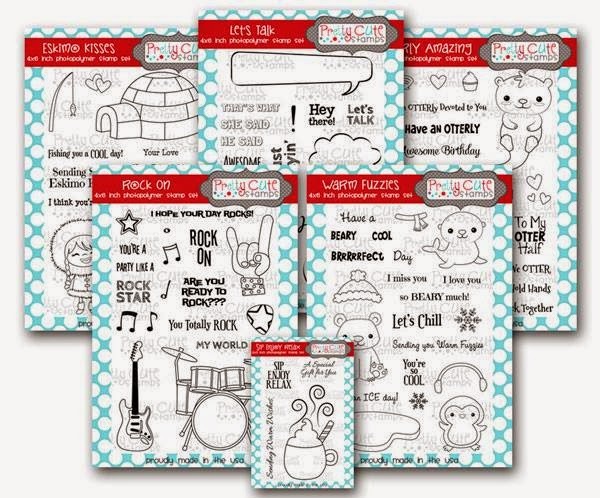 Be sure to check the Pretty Cute Stamps Store to pick up your favorite sets - the New Releases will be on sale through December 19, 2014, and you can save even more by purchasing the December 2014 Stamp Bundle! You can also pick up the SVG outlines for each of these stamps at the store!! December 2014 New Release Bundle!! Stamp Bonus this month - You'll receive the sweet Sip Enjoy Relax stamp set FREE while the sale is going on with the purchase of two other stamp sets!! How awesome is that?! You can see a card using that set here. I'm sure it's one you'll use over and over. Oh my goodness, it's almost a week before Christmas day!! But, the exciting thing today is I get to share with you a sneak peek of two amazing stamp sets for the December 2014 release over at Pretty Cute Stamps!! The first stamp set I'm sharing is the Let's Talk set. Oh! I can think of so many ideas with this set! Of course I love 'hello' cards, and all the awesome sayings included in this set give me so many ideas. And then, I thought how cute would these bubbles be paired with the other Pretty Cute Stamp sets and their sweet sayings?!! I coloured the speech bubbles in first with coloured pencils and then went over top with Prismacolor Markers to smooth out the colour. I layered them on paper from a 6x6 My Girl My Mind's Eye pad and added some bling! I think this cute Hi! stamp is going to be one of my favs! Inside I used the Happy Birthday from the Pretty Cute Stamp Wish Big stamp set - what did I tell you?!! Of course, I had to share the Sip Enjoy Relax set. It is a 2x3 set that is free!!!! with the purchase of any two other stamp sets during the sale (December 17th- 19th, 2014) - you are going to love this one! 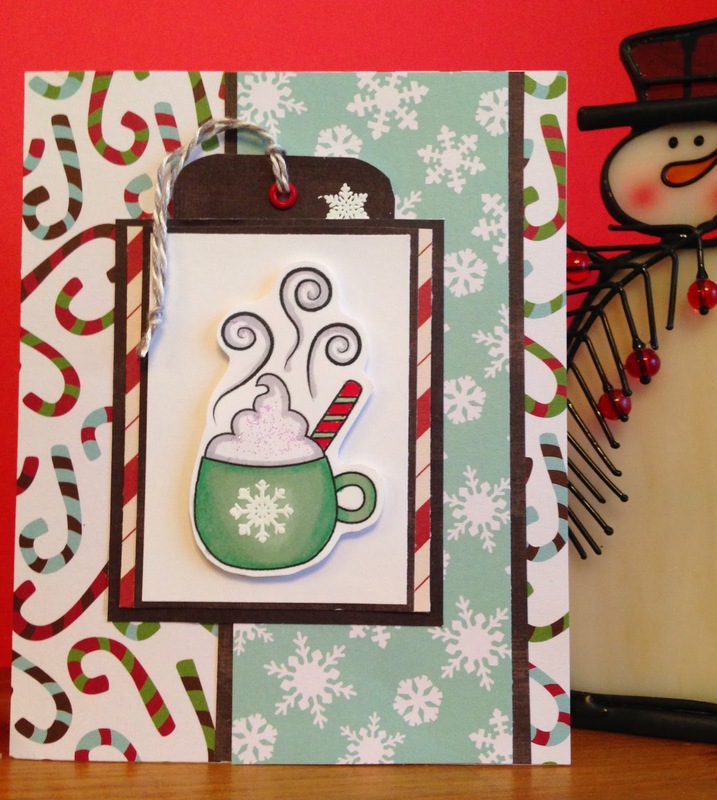 I used the AC Jolly 6x6 paper pack and white heat embossed a stamped snowflake from the Christmas Cheer set on the cup, after colouring with Prismacolor Markers. I added some Stickles to the foam to add some glitter. 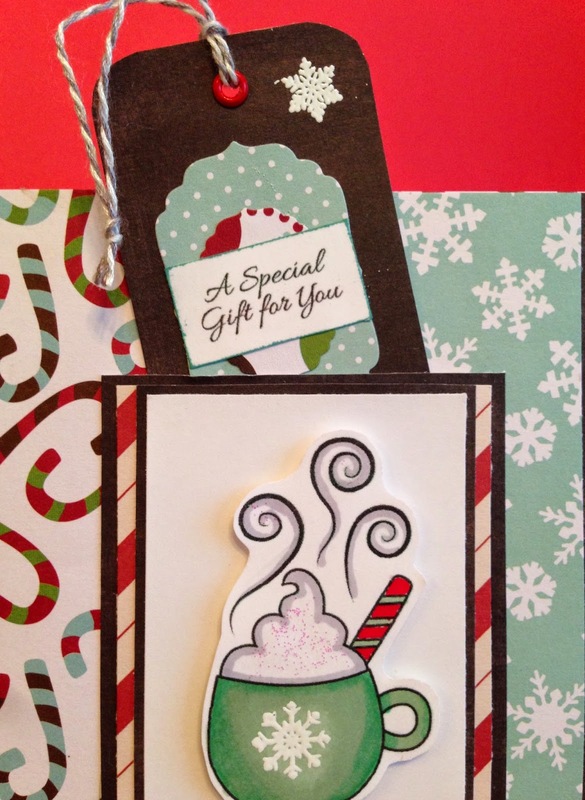 I tucked a cute little tag behind my main image and used Spellbinder's nesting dies in two sizes, layering on one of the sentiments that comes with the set as well as another snowflake from the Christmas Cheer set. I have been loving these snowflakes! Inside, I used the another sentiment from the Sip Enjoy Relax set. Wow! I can think of so many ideas to use this stamp set with!! 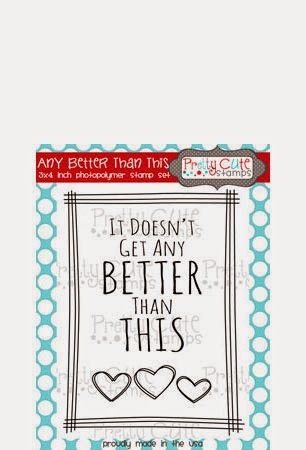 I hope you are all enjoying the sneak peeks that are going on at the Pretty Cute Stamps blog! Be sure to hop over there to check out the full stamp sets shown early this month!! Come back tomorrow for the big Blog Hop! We have two new Design Team members - how exciting!! and we will all be sharing projects from the new release December 2014 stamp sets. All the new sets will be on sale from December 17-19, 2014, so you will definitely want to start making your list! 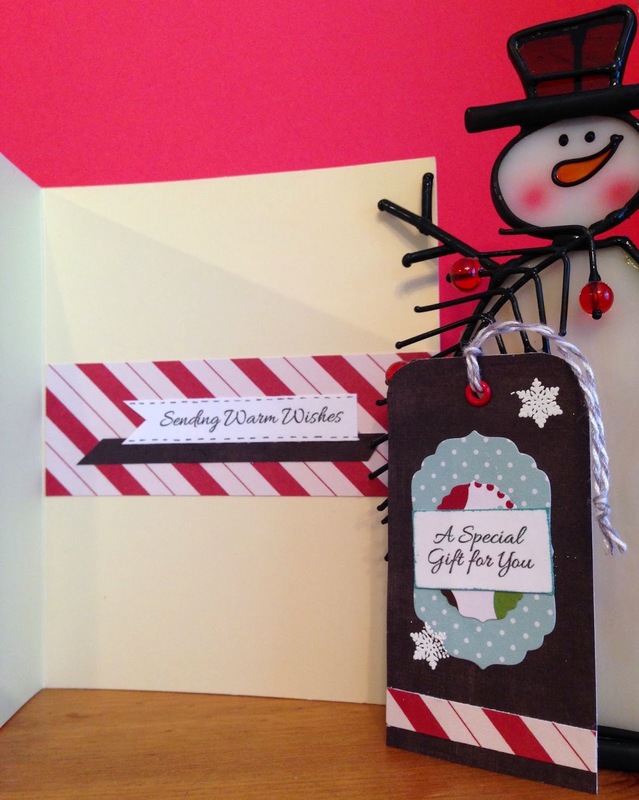 Show Us Your Holiday Cricut Projects! For my project this week I used the Make It Ipad app to create this 3 piece table decor set with the Cricut Explore. It uses the flowers from the 3D Floral Decor cartridge. I used some Distress Ink to ink around the folded edges of my boxes before gluing them up. They were pretty quick to attach together. After gluing the flowers and leaves together, I added the yellow centers and added gold Stickles for some shine. After they were all done I placed them up on my hutch so we can all enjoy them throughout December! Christmas is so close now! I hope you are sitting back enjoying your own holiday decor. Be sure to check out the FCCB blog to see what the other DT members have come up with - and enter your own for a chance to win!! Well, of course I had to sneak in a few more Christmas cards this week! I got an awesome swap package in the mail from my FCCB DT sister, Liz at Unikbyyes, this week, and I wanted to use a couple of the sweet stamped images she sent to me! 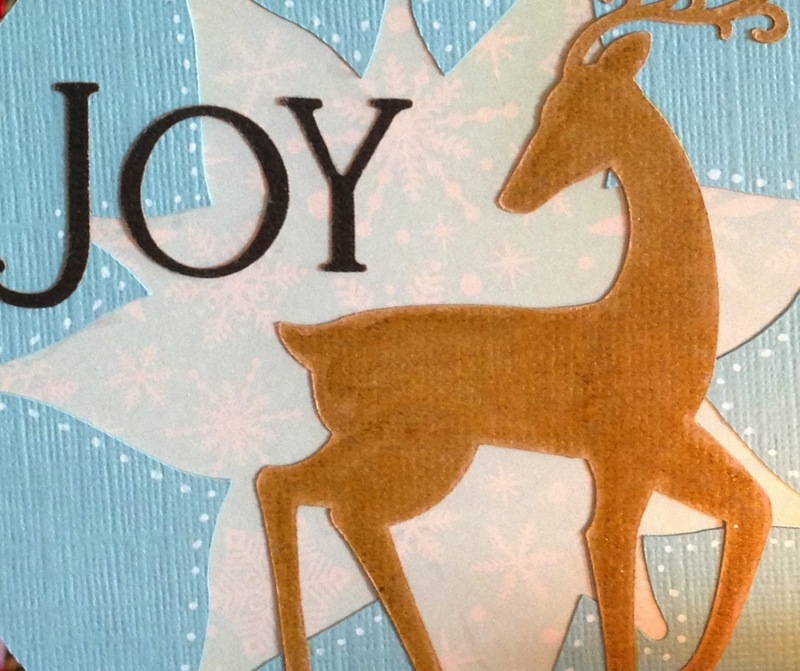 I used the Jolly 6x6 paper pack by American Crafts and some embellishments I had in my stash. I coloured this adorable elf in with Prismacolor Markers and used a white gel pen to add dots to his hat to match the paper. 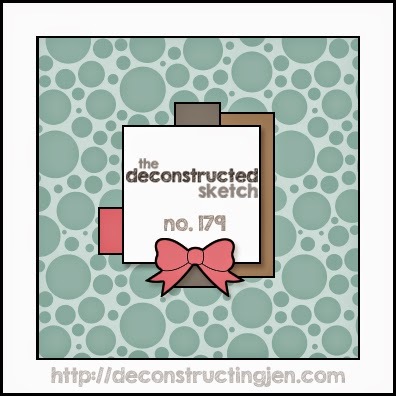 I stamped the envelope and coloured the stocking stamp in with coloured pencils. I always forget how easily coloured pencils work on kraft paper. I used some of the pretty paper Liz sent in her package to coordinate with the Peachy Keen stamp I coloured with Prismacolor Markers. Inside and the Envelope, stamped with various snowflake stamps and Evergreen Bough Distress Ink. For my project this week I created an ornament that I enclosed in an envelope with a Christmas card. I used Cricut Design Space with my Explore and the Wrap It Up cartridge to cut the ornament with the poinsettia cut out of it. I layered it on a light blue snowflake paper from the City Sidewalks Pink Paislee collection and then used a white gel pen to dot around the edges. The deer was cut out of kraft cardstock using the Christmas cartridge and I painted over the top with a gold Wink Of Stella pen. It gives such a beautiful shimmer (unfortunately, hard to see here!) The words were cut in Design Space as well, just as text. I hope you are enjoying your holiday season! Be sure to head over to the FCCB blog to check out the other projects the DT has come up with, and enter your own for a chance to win! 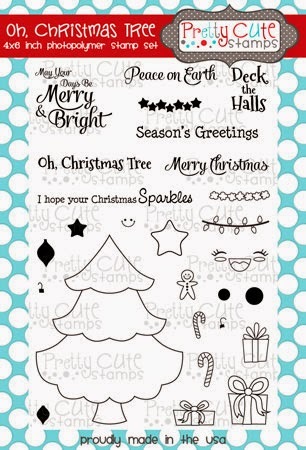 Pretty Cute Stamps Feature - Christmas Gift Tags! We've been wrapping gifts as we get them ready, so there won't be so much to do all at once. I realized I needed a few more tags, so I decided to combine some Pretty Cute Stamps sets to create these gift tags for the feature over at the Pretty Cute Stamps blog today. I started with some white cardstock, which I cut into tags, rounding the upper corners of each. Next I stamped the border with Versamark using the Any Better Than This frame, the snowflakes from Christmas Cheer, and the sentiment from the Oh Christmas Tree set. After I heat embossed with gold and silver inks I sponged the edges with Tumbled Glass and Salty Ocean Distress Inks, leaving a white area in the center. For the second tag I used the frame and hearts from Celebrate Today and another sentiment from Oh Christmas Tree. I made the hearts into hanging ornaments by drawing lines and bows with some gold and silver pens. I tied some gold and silver ribbons onto my tags and some bakers twine to attach it to my gifts. Now they are all ready to be delivered! How are your Christmas plans coming along? I hope you can take time to enjoy all the little things, from wrapping gifts to watching A Charlie Brown Christmas. 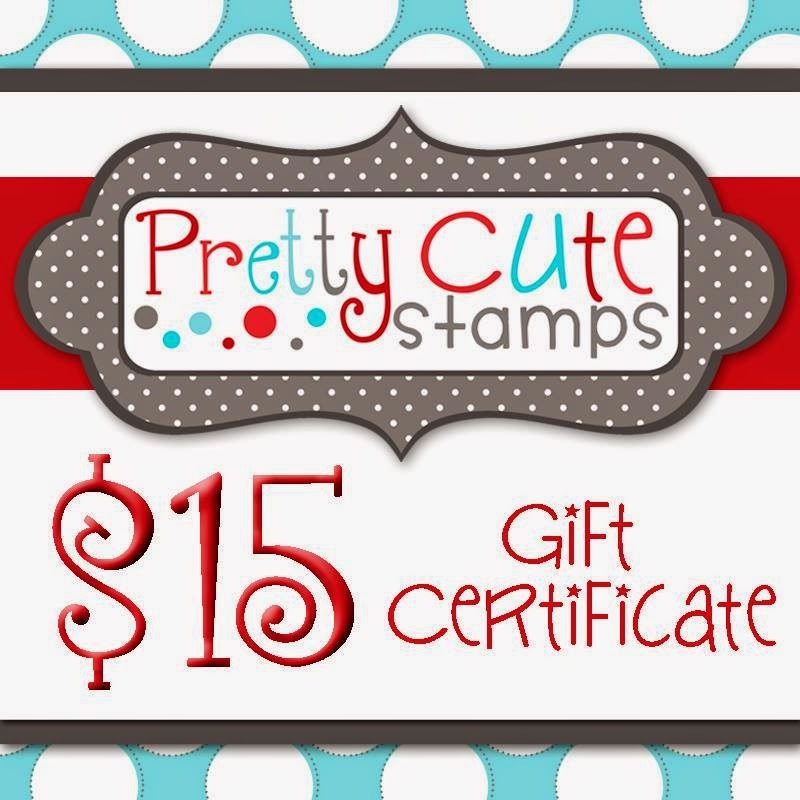 Thanks so much for joining me today, and be sure to check out the Pretty Cute Stamps store for a gift for someone, or for yourself ;) You can even email a Pretty Cute Stamps gift certificate to a lucky person on your gift list!